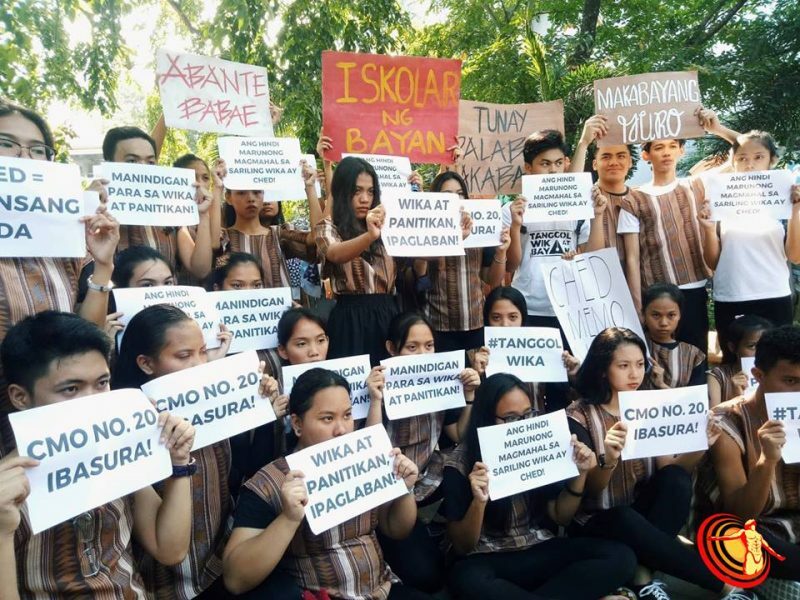 A group of Filipino professors, scholars, and students in the Philippines is leading a campaign against government steps to remove the mandatory teaching of Filipino  language and Panitikan (literature) at the college level. Along with English, Filipino  is one of the two official languages in the Philippines, where over 185 are spoken . It is the country's national language and main lingua franca. 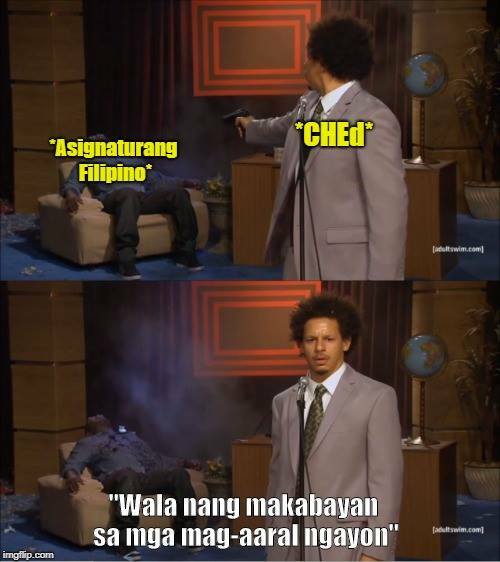 On October 9, 2018, the Supreme Court upheld the legality of the Commission on Higher Education (CHED) Memorandum Order 13 of 2013  which officially removes Filipino and Philippine literature from the General Education curriculum in colleges and universities. The SC decision overturns a temporary restraining order  secured in 2015 by opponents of the CHED measure. But critics  say the anti-Filipino curricular changes reinforce an educational system inherited from the American colonial era that privileges English and trains students for the foreign labor market. The erasure of Filipino is seen as part of wider educational packages that marginalize the humanities and other academic fields considered non-essential for the formation of young Filipinos for the cheap labor needs of big business. 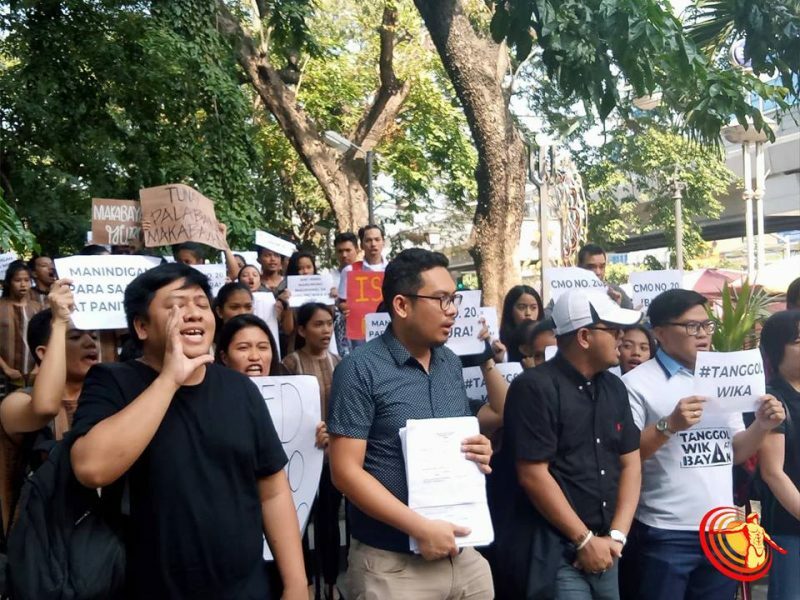 Various groups are leading protests and legal actions against the erasure of Filipino and Panitikan in college. 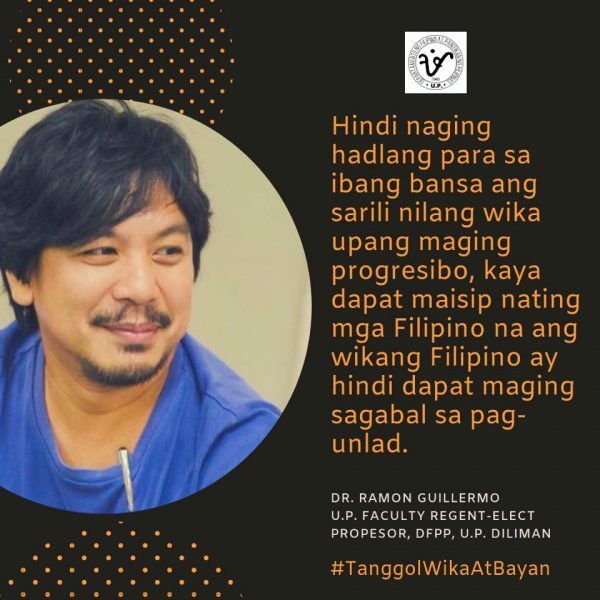 Tanggol Wika  (Defend our language), an alliance of professors, students, writers, and cultural workers has filed a motion for reconsideration  at the high court last November 26, 2018. They warn that 10,000 teachers could end up losing their jobs  due to the curricular changes. 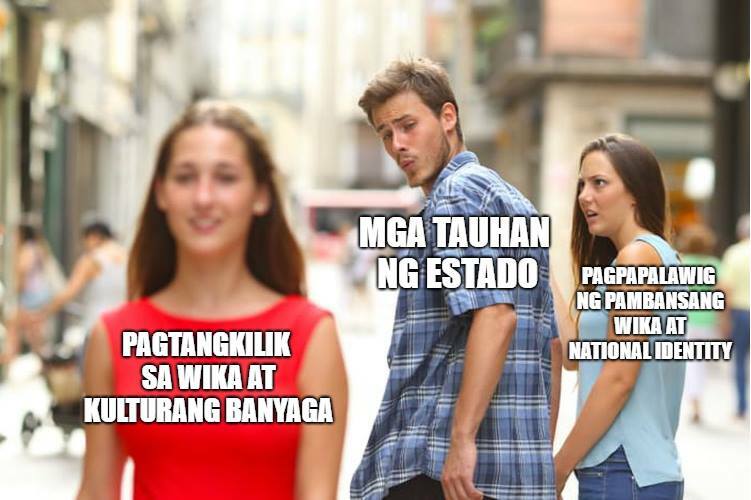 Filipino advocates are encouraging netizens to post statements in support of the preservation of Filipino in college using the hashtag #TanggolWikaAtBayan  (Defend our language and nation). Left: Patronage of foreign language and culture. Center: State forces. Right: Developing one's own national language and identity. Disclosure: The author works as an instructor at the University of the Philippines Diliman, Department of Filipino and Philippine Literature, which is actively involved in the #TanggolWikaAtBayan campaign.